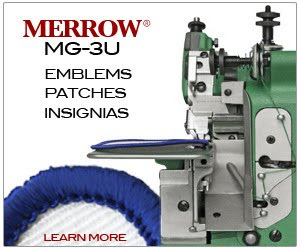 local SIM cards are for crazy people - Merrow Sewing Machine Co. The problem with a mobile phone. Or there isn't a problem at all i guess if you don't care about what it costs. I do, and consequently researched phones and local rates before this trip. My strategy: buy a SIM card in each country i visited. In this case egypt, poland, turkey and italy. I looked at the local rates etc. and set off to assimilate seamlessly into each locale by adopting a local number and benefiting cleverly from low costs. Aside from my phone only working when i'm in the country with the SIM card (eg. not in any airport en route somewhere else), my number changing every 3 days, and the absurd prepay situation, THE ABSOLUTE WORST are the directions in Polish. Arghhh.... the hours i spent trying to figure out what Witamy Cie w swiecle SIMPLUS! DZIEKUJEMY ze dolaczyles do NAS. meant. The mobile phone instructions are all in english, but the SIM card is all in polish. A friendly Pole wouldn't be able to make heads or tales of the phone and obviously I wasn't doing well with the polish. To get voicemail i would push a 'messages' button. This was the last station for english all stops ahead were polish. I'd hear a menu, guess a number (though i was never sure if the announcement was offering a choice) listen to polish techno music and end up in another menu with a patient but cryptic sounding polish woman who may or may not be offering to play me voicemail messages. I'd offer a '3' and perhaps be rewarded with familiar sounding voice wondering why i wasn't returning my calls. More likely I wouldn't, so I apologize if you have called me and i've not called back. How did end up here, without any distinctive advantage to my clever strategy? I'm not sure. But please don't try calling me to discuss, my phone doesn't work in prague.